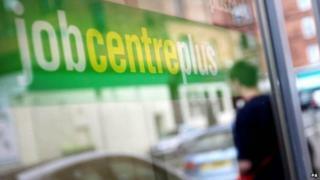 The government's cap on benefits is providing an incentive for people to find work, new research has suggested. Studies for the Department for Work and Pensions found those affected by the cap were 41% more likely to get a job than people who were unaffected. Work and Pensions Secretary Iain Duncan Smith said the benefits cap was "changing attitudes and behaviour". But the Institute for Fiscal Studies said savings from the cap were "small". It said the cap affected about 27,000 families in the UK - which represents less than 1% of working-age families who receive housing benefits - and saved around £100m a year. The measure - which limits benefits that households can receive to £500 per week - was introduced by the government in the summer of 2013. Research from four studies from the Department for Work and Pension, found that 38% of those subjected to a cap said they were doing more to find work. A third were submitting more job applications and one in five went to more interviews, the research found. Two in five households who said they had looked for work because of the cap in February this year had entered employment by August. To put this in context, the government is spending about £17bn a year on housing benefit and about £5bn a year on Jobseekers Allowance. The Institute for Fiscal Studies says the benefits cap affects 27,000 families - less than 1% of working-age families receiving housing benefit. The £100m saving is a shade over 0.5% of the total spending on housing benefit. Mr Duncan Smith said the evidence showed the government's welfare reforms were "encouraging people into work". "By putting an end to runaway benefit claims and introducing a system which guarantees you will always be better off in work, we are incentivising people to find employment. "Every month hundreds of people who have been affected by the cap are making the positive move into work - gaining the financial security and esteem that comes with a job and a pay packet," he said. IFS deputy director Carl Emmerson told BBC Radio 4's Today programme that the overall saving of £100m a year had to be put in the context of "about £100bn" spent on working-age benefits annually. "So the rationale for the policy can't really be about a significant contribution to, for example, deficit reduction," he added. The research comes after Prime Minister David Cameron said the Conservatives would cap benefits further to fund three million apprenticeships if the party wins next year's general election. A Conservative government would cut the maximum benefits a household could claim a year from £26,000 to £23,000, he said in September. Mr Emmerson said it could be concluded from the research that the plans would encourage "a few more people" in work" but probably not result in anyone moving house. The publications represent the first quantitative analysis of the impact of the new benefit cap. Mark Harper, a Conservative minister in the Work and Pensions Department, said the "scare stories" about the benefits cap had proved wrong. Speaking to the BBC's Today, he said there was no evidence of a significant number of people having to use food banks, as a result of the loss in income. The cap would save £140m in 2014-15, Mr Harper said, and end the "something for nothing culture" in the benefits system. Shadow work and pensions secretary Rachel Reeves said: "People should always be better off in work, which is why we are in favour of a benefit cap that is fair and effective. "But the government needs to do far more to get people off benefits and into work. Since 2010 there has been a huge increase in spending on Housing Benefit for people in work because of the government has failed to tackle low pay."